First the Conservatives steal our beer, now Labour steals our Brand! Only a few weeks ago The Tories stole our beer when the Prime Minister gave away bottles of ‘Co-ALE-ition’, and now The Sun is promoting The Labour Party with our name. Do these institutions have NO SHAME? We in the Monster Raving Loony Party are above politics and below everything else. Boat Voony, the dyslexic manicfesto, bark at the moooooooon, be tip top in a top hat, bishop to c5 and knight to D6 – checkmate. 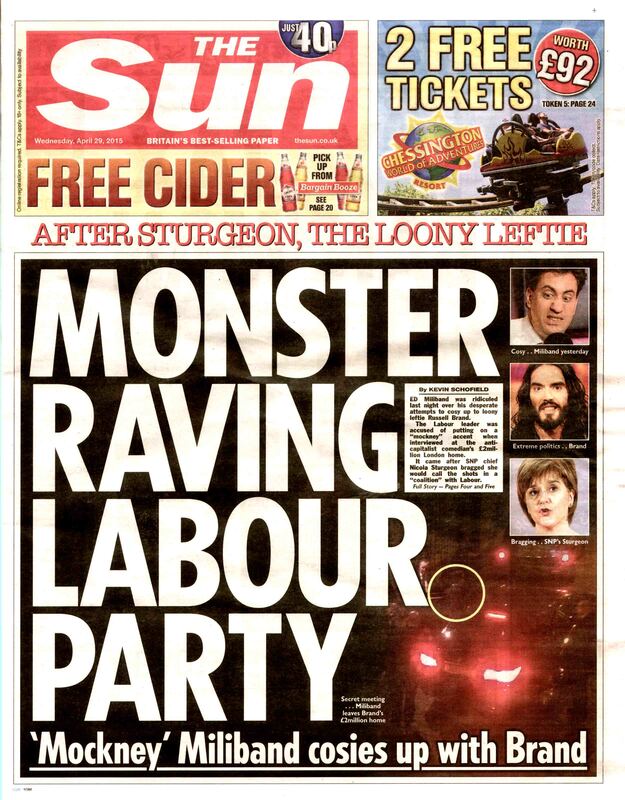 Touché The Sun we have seen what you’re doing aligning the Labour Party with the one true Party of reason. Vote for Insanity, vote Loony, you know it makes sense! Of course, and be ever their pawn.